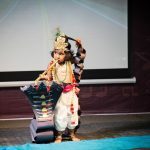 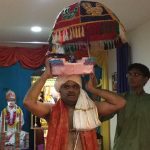 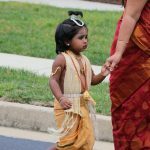 By the immense grace of Lord Hari and Sri SwamiJi’s blessings, Virginia Namadwaar celebrated “Sri Krishna Janmashtami” through “Srimad Bhagavatha Saptaha Parayanam” – recital of 18,000 slokas from NamaPurana Srimad Bhagavatham, wherein sweetest lilas of Lord Krishna are expounded. 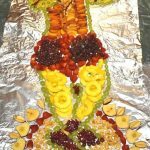 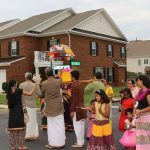 On Thursday,August 10th 2017 Sapthaha Poorthi was celebrated at Virginia Namadwaar. 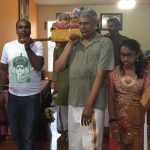 Around 15 fortunate devotees participated in the daily parayanam. 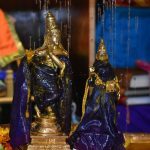 Sapthaham concluded with Bhagavath Geetha – 12th Chapter parayanam and Vishnu Sahasranamam. 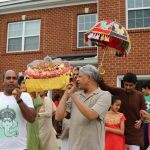 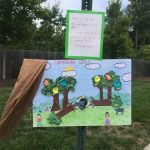 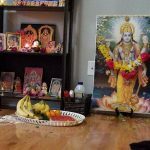 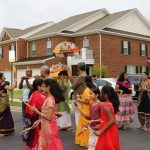 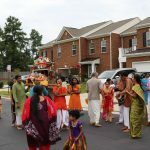 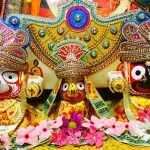 On Friday, August 11th 2017, Janamshtami was celebrated with Sri JagannathJi Parivar purappadu at Avington Subdivision in Glen Allen, VA. All the devotees did Dhandiya dance during procession, which went on for 2 hrs. 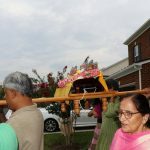 Kids and adults in the community enthusiastically participated in the procession. 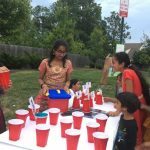 This was followed by Kids carnival games based on Krishna Leelas. 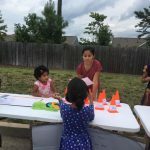 Around 40 kids participated in the carnival games and 60 people participated in the procession. 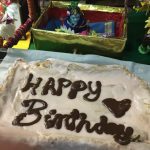 Prashad was distributed in the end. 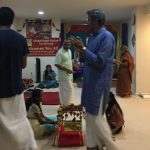 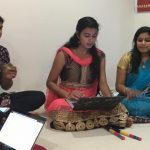 When the event ended and when we all went inside the home, drizzling started, a clear indication that Sri Swamiji and Lord accepted our small effort to spread Nama. 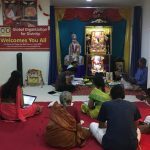 On Monday August 14th 2017, Nandothsav was celebrated at Namadwaar. 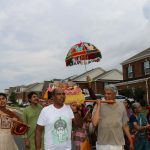 Celebrations started with Mahamantra Nama Sankirtan, Dasama Skantha Parayanam – Krishna Jananam followed by Nandhothsav and Kolattam. 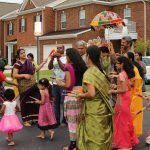 Celebrations concluded with Dolothsav. 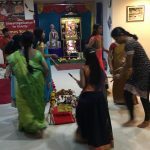 Around 20 fortunate devotees attended the celebration.